Konica Minolta is a leader in the copier and printing supplies industry. Its comprehensive line of products allows for businesses to run at top performance, and Konica Minolta product lines work to provide optimal organizational performance. The brand is constantly evolving to provide businesses with the innovation they need to create the value that their customers have come to expect. With company roots dating before the turn of the 20th century, excellence is a tradition that Konica Minolta keeps alive to this day. Its award-winning Bizhub products help businesses speed up productivity while maintaining quality, and the office system allows for seamless software integration. Konica Minolta can handle all of your business’ printing and copying needs, from printers to scanners, there is a product line that will streamline your workflow. Copier Supply Store offers an extensive inventory of Konica Minolta products. We carry genuine Konica Minolta toner cartridges, in addition to compatible ink cartridges. Copier Supply store also offers countless Konica Minolta parts; such as: charging units, drum cleaners, maintenance kits, fusing belts, spare output trays and imaging units. These Konica Minolta products typically ship from our warehouse within 24 hours, as long as your order is placed before 3:30 PM EST. Next day delivery is available at ground shipping rates anywhere in the state of Florida. Domestic orders over $99 ship free with FedEx ground shipping, and international shipping is also available. At Copier Supply Store, we always take the time to carefully package your Konica Minolta order to ensure that your items are not damaged during shipping. In business for more than 40 years, Copier Supply Store works to bring you your Konica Minolta products at the best possible price. We guarantee the lowest retail pricing on the web for all Konica Minolta copier and printing supplies. 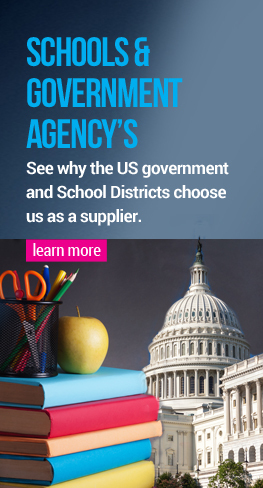 Copier Supply Store evenoffers wholesale pricing opportunities to several schools, government agencies, service providers and resellers. If you have any questions about the Konica Minolta cartridges or parts we carry, give us a call at 1-866-2244. Copier Supply Store is available to you 24 hours a day, seven days a week, because quality customer service is our goal. So next time you think about Konica Minolta, we hope you remember Copier Supply Store, because we provide the best prices with the best customer service available!